Wolf Racing Products made an impactful entry into the automotive market in mid-2012. Its owners have experience with performance cars which date back 20 years. In this time we have worked on many unique projects including Australian, Japanese and Euro. We have a passion for cars and this flows to the products that we sell. 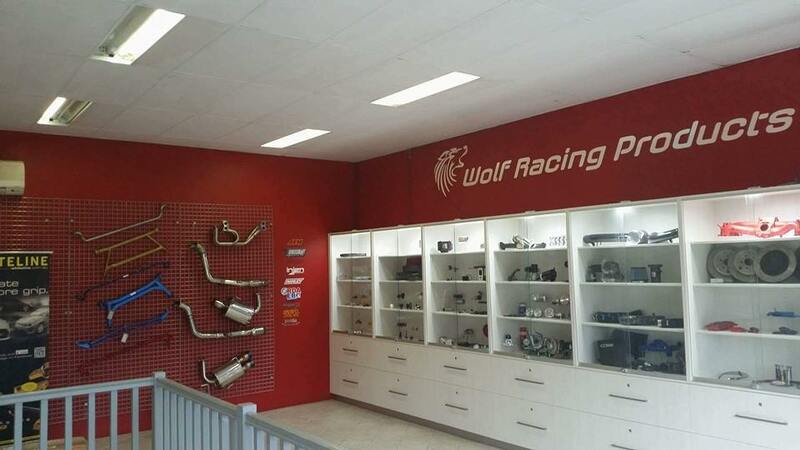 Here at Wolf Racing Products we believe in providing exceptional service and supplying quality products. We go above and beyond to meet the highest expectations of our customers and pride ourselves in providing the highest level of customer service and satisfaction. Catering for anything automotive including street and track, servicing, performance, suspension, braking and wheels. We only stock brands that we would (and have) used ourselves on our own cars both street and track. We are dealers and distributors for a number of brands and if we do not have the product in stock, we are able to source it for you. Feel free to come in and meet our team at our showroom. We are more than happy to provide you advice and options for your current (or next) build.